Kim Evans is an Advanced Practice Nurse with over 40 years of clinical experience who is truly interested in helping people achieve their optimal health of mind, body and Spirit. While working as a critical care specialist in the mid 90’s, Kim realized that 75% of the patients in them intensive care unit had illnesses that could have been prevented. From that moment on, she dedicated herself to help stop preventable chronic illnesses such as heart disease, diabetes and stroke. 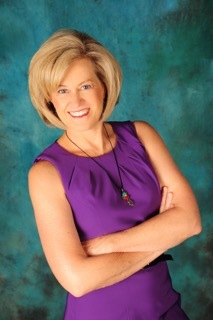 Kim is the owner and CEO of the Institute for Integrative Medicine in Louisville, KY. She is certified as an advanced practice holistic nurse, Amma therapist, and most recently Havening Techniques®Practitioner. She completed a fellowship in Integrative Medicine with Dr. Andrew Weil and the University of Arizona Center for Integrative Medicine. Kim is an avid writer and speaker, inspiring people to discover their power within, transform their lives, and BE their best self. She practices what she preaches by eating healthy, exercising regularly and meditating/praying daily. She recently completed her book, Transforming Healthcare: Healing You, Me and our Broken Disease-Care System.